I like to keep a current list of the invasive plants of Connecticut on hand, and on the copy I printed out, I highlight the edible ones. Just doing our part to reduce the invasive plants by eating them! We eat garlic mustard, Japanese knotweed, Rugosa roses, autumn olives, wineberry, sheep sorrel, dandelions, black locust blossoms, and now we found a few local sources for yellow groove bamboo. 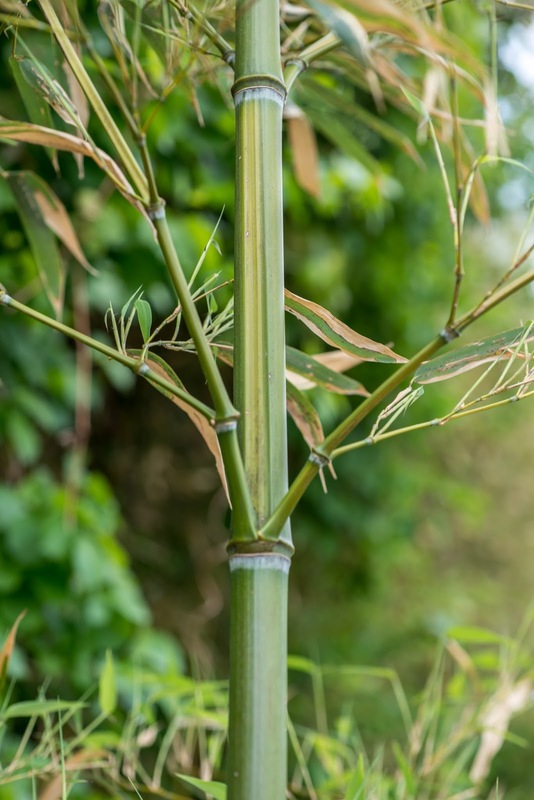 Yellow groove bamboo (Phyllostachys aureosulcata) is a grass that is often sold as an ornamental, promoted as good for privacy hedges. 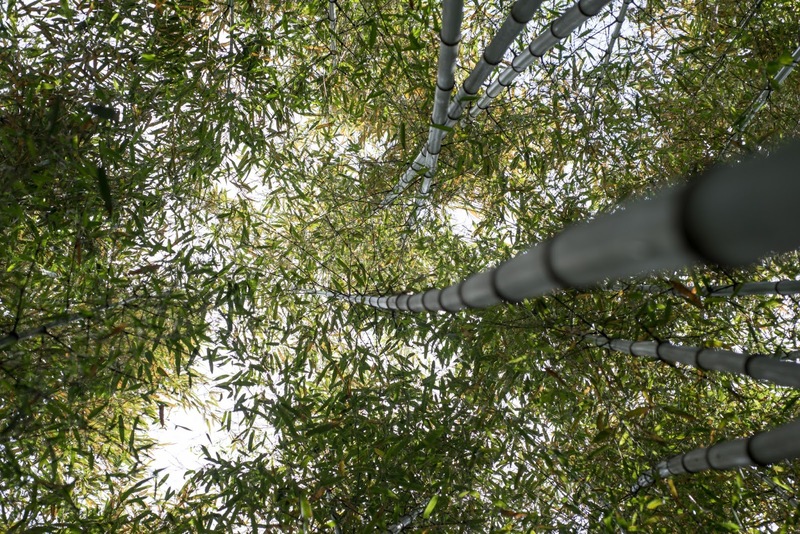 While not on the invasive list, it is a plant that is monitored by the CT Invasive Plants Council, and homeowners who plant it are subject to rules about letting it escape property boundaries and fines for not containing their bamboo groves. Yellow groove bamboo is very aggressive and spreads easily through underground rhizomes, and we have seen it growing up through the pavement. 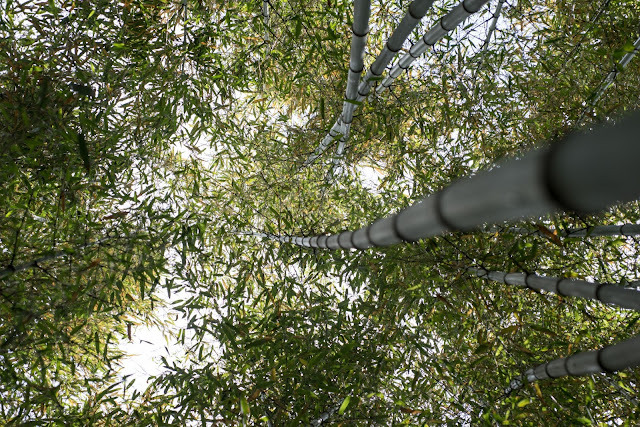 Yellow grove bamboo is a cold hearty variety, living through the winters here in Connecticut just fine. 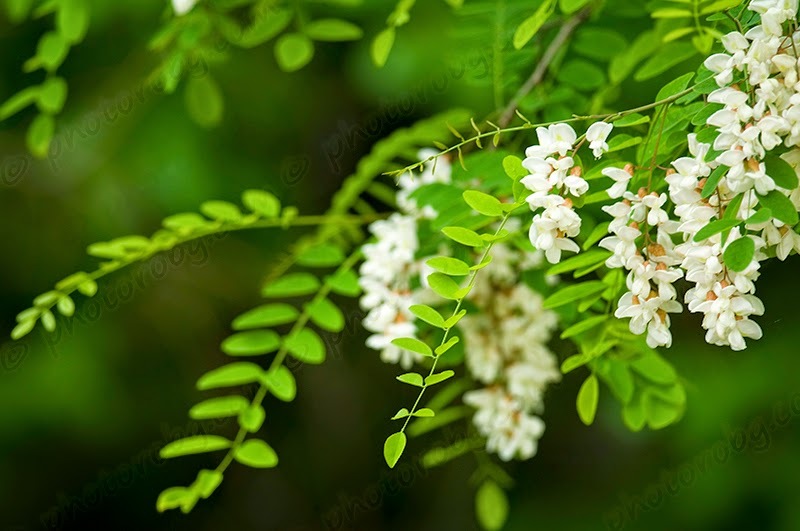 I see it listed as invasive in neighboring New York, as well as into the southern states where it grows in temperate to sub-tropical climates. As another invasive plant, we would never recommend planting yellow groove bamboo on your own property, or spreading it in any wild areas due to its destructive nature. Bamboo shoots are mostly water, and are a low-calorie, high-fiber vegetable popular in Asia. They are eaten raw, boiled, pickled, canned, roasted and grilled. 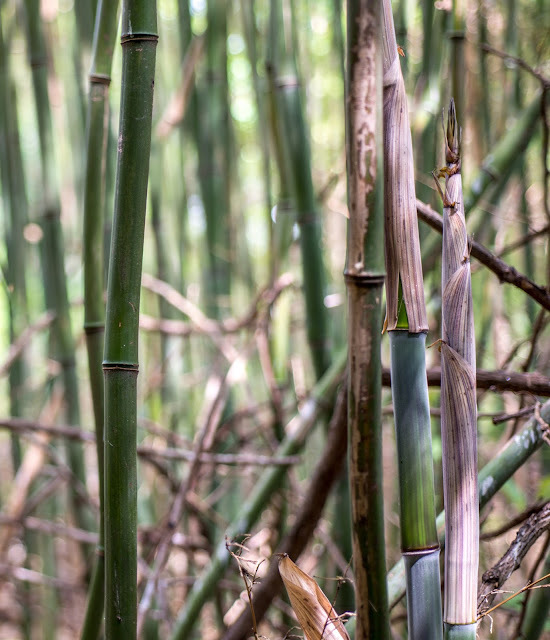 Not all species of bamboo are edible, some are rather bitter and others may contain a cyanogenic glycoside, (taxiphyllin), which can change to hydrogen cyanide in your gut. 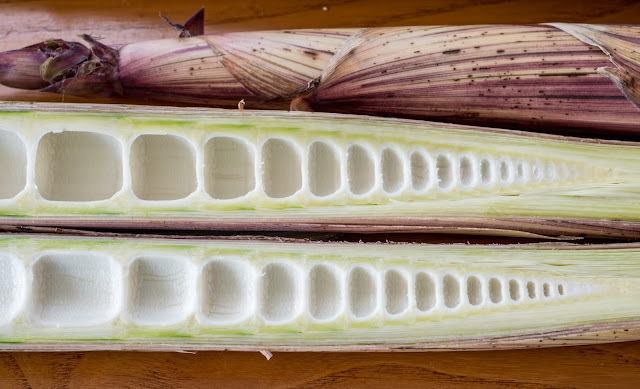 This toxin breaks down in water, so just to be safe, we boil our bamboo shoots. 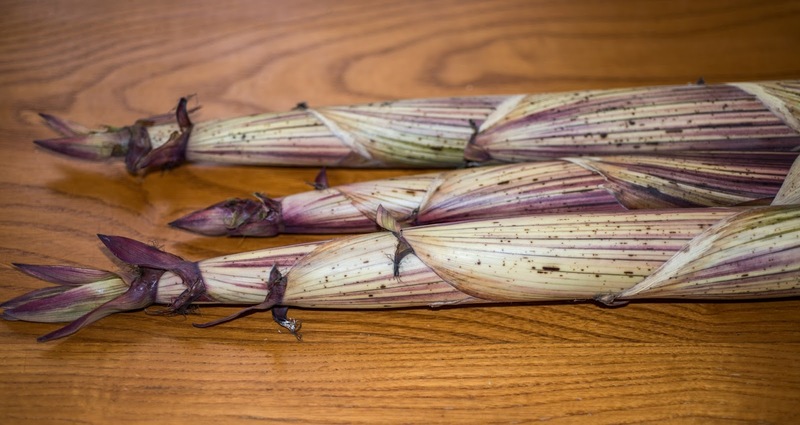 In Connecticut, the stalks grow up to 20-30 feet tall, and many of the leaves will drop in our cold winters. Each stalk has cross walls, and the stalk is hollow, making it light. The leaf branches alternate on the stalk, and on the side of the stalk where a leaf stem emerges, there is a distinct yellow groove in the segment of stalk between the cross walls. Robert and Gillian like to collect sections of the stalks to make drinking cups and vases for flowers, and to carry small things around. 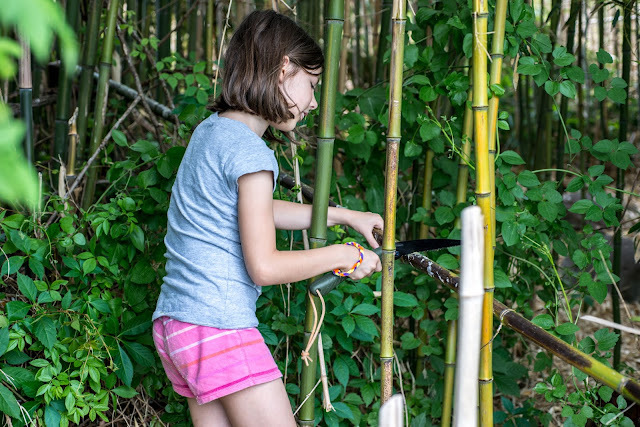 The dry, mature stalks can be used as building materials for trellises in gardens, or for plant stakes. 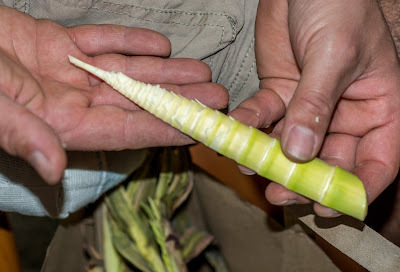 New shoots start emerging in May, and we can harvest them for about 3 weeks by chopping the top 1-2 feet off of the rapidly growing stalks, or finding the newly emerging shoots between the mature stalks. 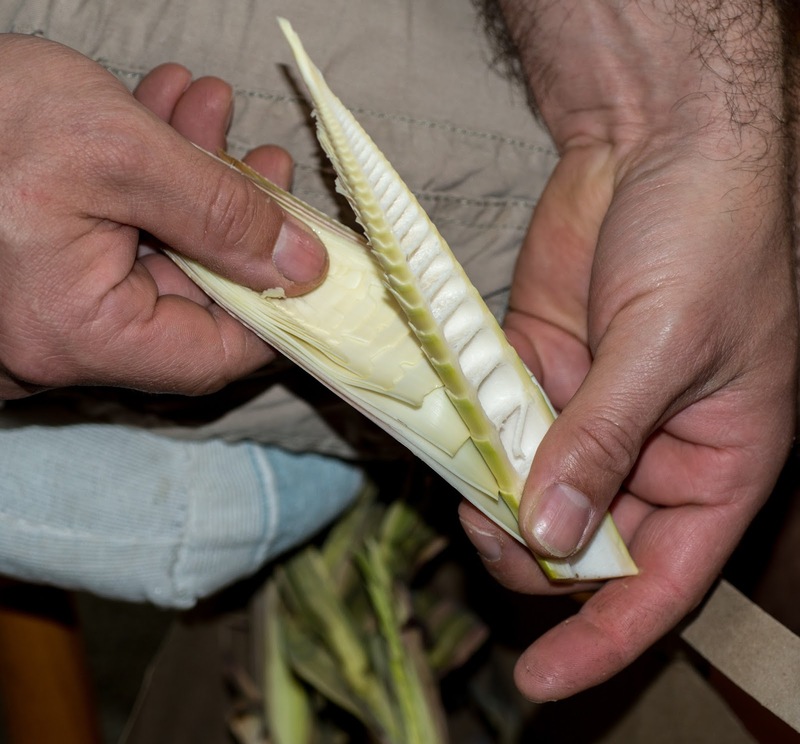 The shoots have a sheath covering them when they first emerge, and it is striped yellow, green, and a bit of purple. 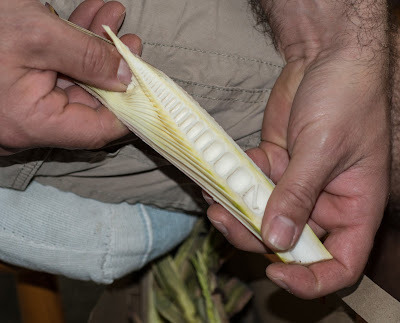 This leafy sheath should be removed, and we slice the shoot lengthwise first before sliding a thumb under the chambered shoot and the sheath; it should come apart quite easily. We then boil the split shoots for about 15-20 minutes in water with added rice or rice bran, which is the traditional Japanese way to prepare takenoko. 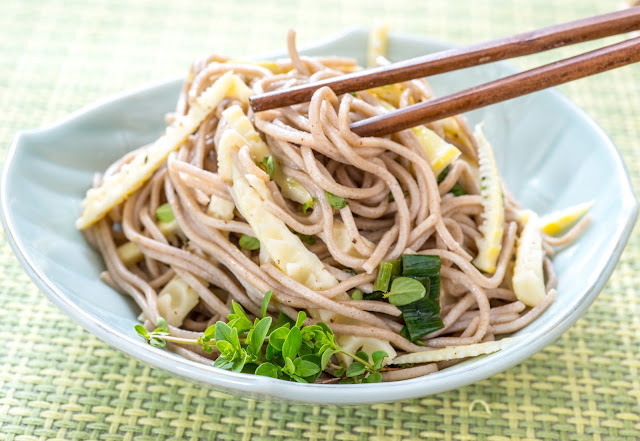 Tossed with some soy sauce and ginger, or lemon juice and olive oil, they make a fantastic cold salad, or delicious cooked vegetable. What's a palacsinta? 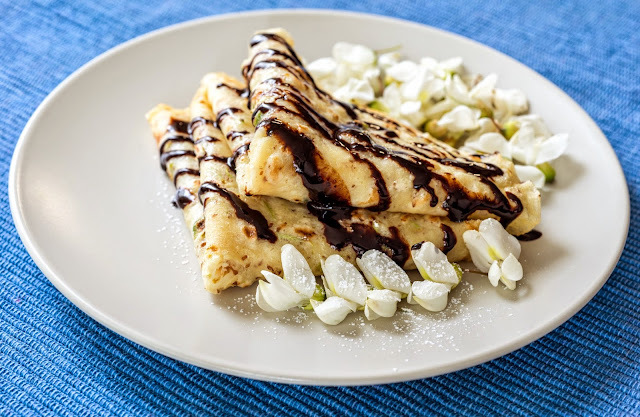 It is the Hungarian version of crepes! These are Robert's favorite mid-day snack, quick to put together and cook, and the recipe is easy to modify to accommodate just about and version of sweet or savory ingredients. 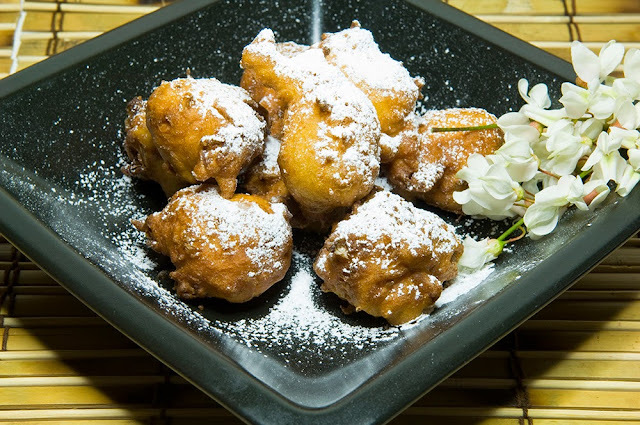 Here, we added black locust flowers into the batter and drizzled the top with a chocolate sauce and a dusting of powdered sugar. They could be filled with jelly or nuts and rolled up too. 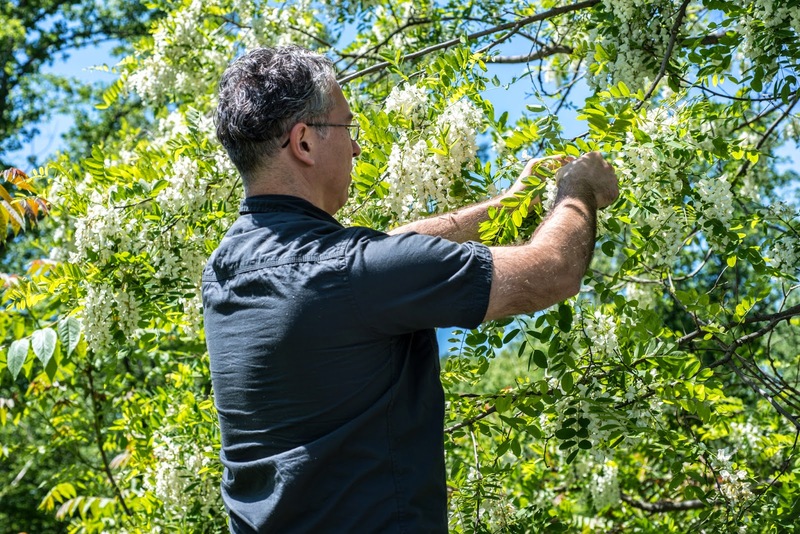 Robert carefully collecting the black locust flowers. This tree had more thorns than we are used to! Robert roughly chopped the flowers to prevent then from sticking out of the batter and burning. The batter is very thin, as it needs to coat the bottom of the skillet. Allowing the batter to rest for 20 minutes hydrates the flour and makes a much better finished palacsinta. 1. Combine the flour, flax meal, sugar, and salt in a large bowl. 2. Whisk in the seltzer and water, mixing until there are no lumps. Cover and let the batter rest for 5-10 minutes. 3. 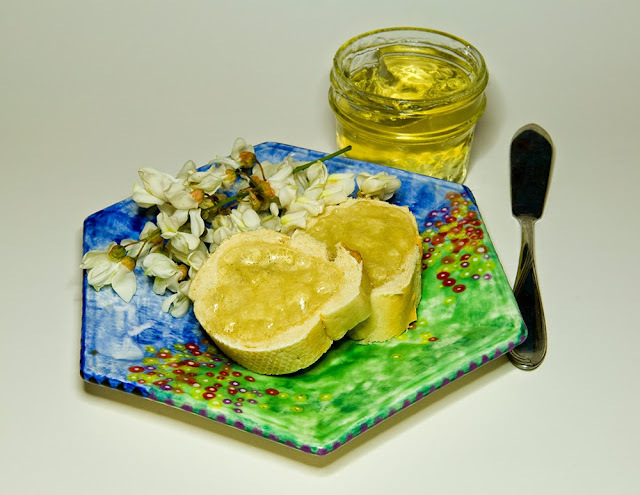 Stir in the chopped black locust flowers and optional pollen. 4. 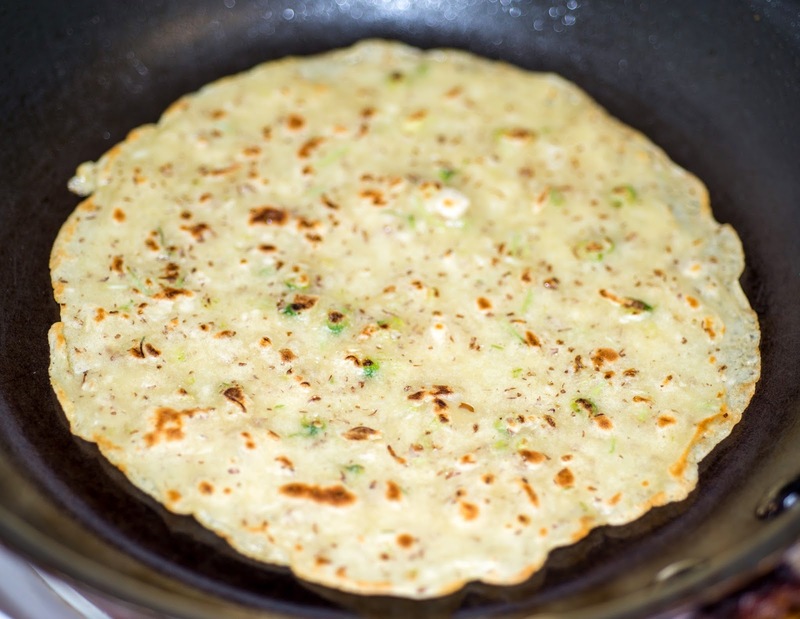 Heat a non-stick skillet or crepe pan to medium, and add some oil to the pan, swirling to coat the bottom evenly. 5. Pour about 1/4 cup of batter into the pan, again swirling the pan to spread the batter evenly over the bottom of the skillet, the batter should be very easy to spread out this way. 6. Cook about 2-3 minutes until the bottom is lightly browned and the top has set, then flip the palacsinta with a spatula, cooking the other side for 1-2 minutes. 7. Slide the palacsinta out of the pan and fill with jelly, ice cream, or fruit, or top with powdered sugar and eat while still warm. 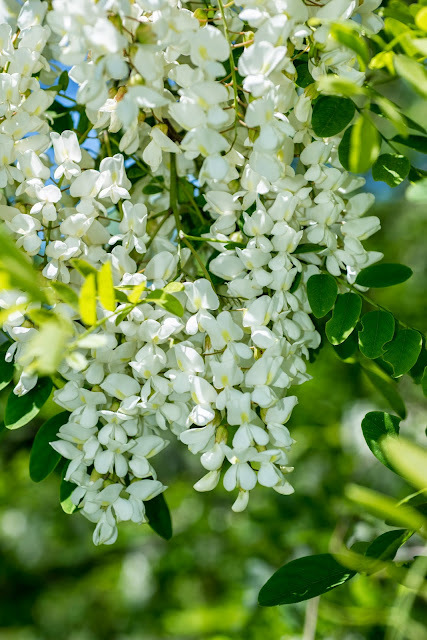 In about another week the black locust trees will bloom for about 8-12 days, a brief period in which we collect and eat them like mad. We have only frozen them with mild success. They lose their charming snap and crunch and become suitable only for adding to cooked recipes like custards and oatmeal after freezing. Black locust blossoms are best eaten raw out-of-hand, but we still created a few recipes with this fragrant bloom. Our favorite is likely the syrup; mixing it with carbonated water or seltzer makes an awesome soda, and it can be used as a flavored syrup for mixed drinks, with a black locust cluster tucked over the rim of the glass which has been rolled in flavored sugar. 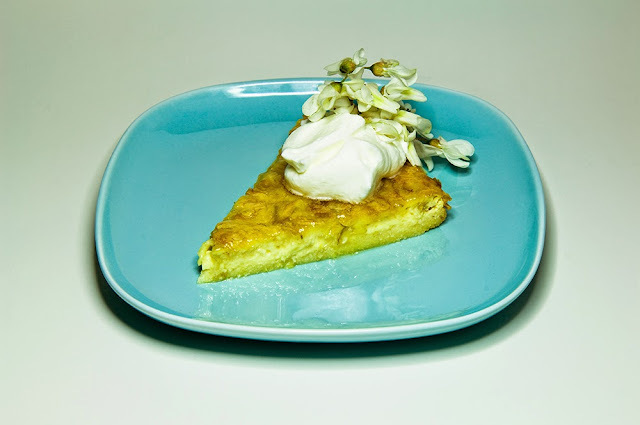 The flowers can be ground into sugar to flavor it by using a mortar and pestle, or by pulsing them together in a food processor, but the sugar tends to get clumpy if kept for too long. The syrup can also be poured over shaved ice, or saved and poured over snow in the winter. 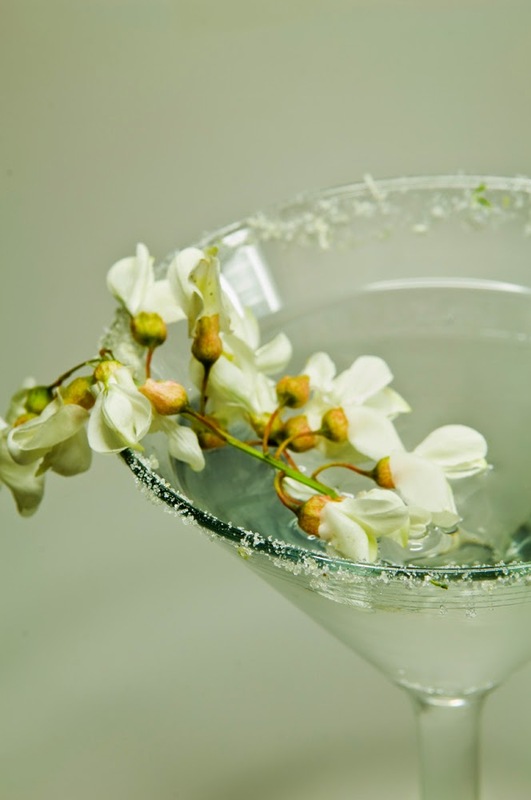 A simple refreshing drink can be made by infusing the blossoms in water with lemons for a few hours, then filtering the solids out, and serving chilled with a splash of the black locust syrup. We even make a simple wine, by fermenting the blossoms with sugar and yeast, then filtering and racking for a few months for a stunningly clear drink, mildly fragrant and sweet, but that recipe hasn't been written down just yet, we need to test it out a few more times! Milkweed shoots are not for absolute beginner foragers, and milkweed is a good plant to observe for a full year in all of its life stages before trying to consume it. A few people may have a bad reaction to milkweed in their diet as well, so taking it slow at first with tasting is a good idea. Spring shoots of milkweed are the only parts that can really be confused with another inedible and mildly toxic plant--branching dogbane. Both of these plants grow in the same habitat of open fields and roadsides, so some close observation, guidance, and experience is needed to safely forage this springtime edible. 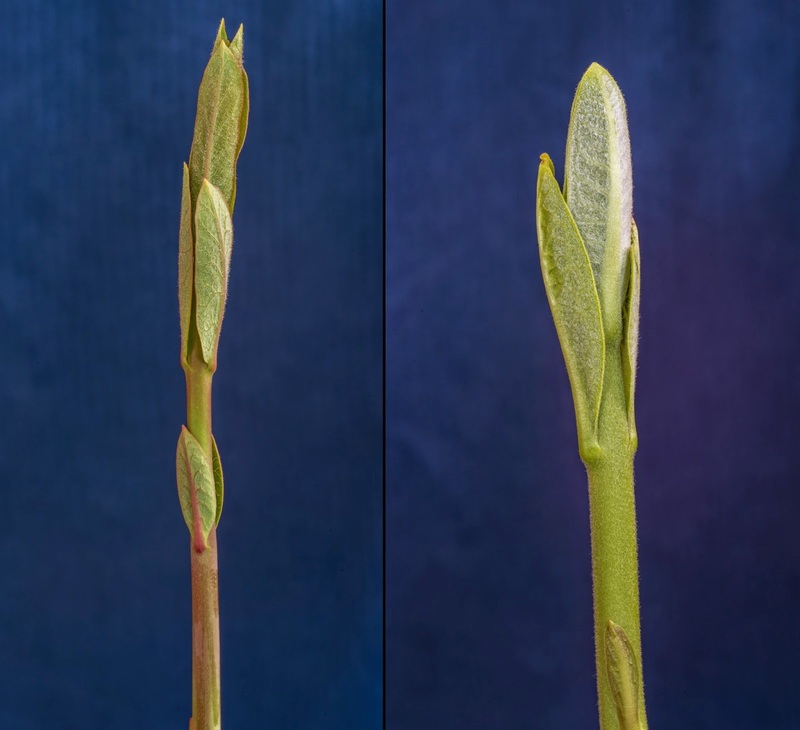 Common milkweed shoots, Asclepias syriaca, have a thick, lightly fuzzy stalk with opposite leaves that are oval shaped and fuzzy as well. They are at a good size for collection before the leaves have uncurled too much, about 5-8 inches tall. 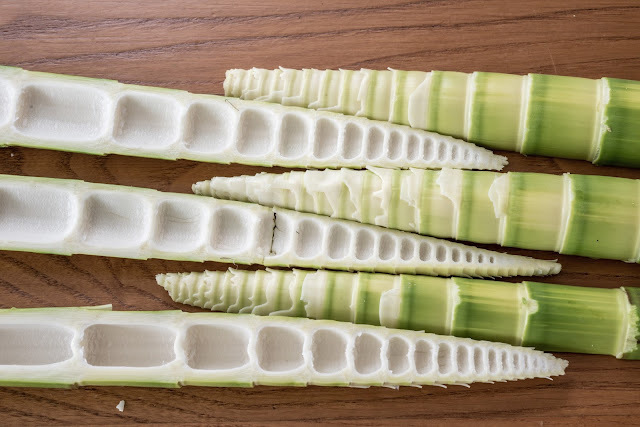 All parts of milkweed will ooze a white, milky latex when cut. Branching dogbane shoots, Apocynum cannabinum, are more slender than milkweed shoots, have a slightly red tinge, and are smooth, but also have opposite, oval shaped leaves that are slightly fuzzy. Dogbane also exudes a milky latex when cut. It is very important to look for the fine hairs on the specimen to properly identify milkweed vs. dogbane, we use a small jeweler's loupe, but a magnifying glass works just as well. While dogbane has practical uses in making cording, it is not an edible shoot, and contains cardiac glycosides, toxins that affect the heart. It is terribly bitter to taste, a warning sign in any plant that a human or animal may try to consume. 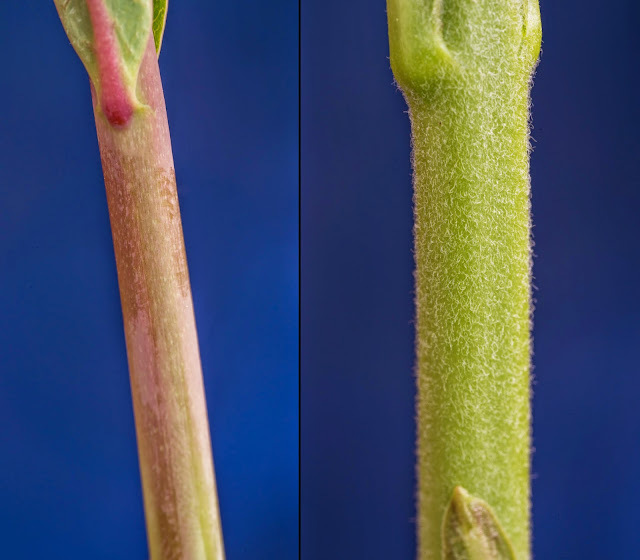 Later in its life cycle, dogbane will produce multiple branches from the main stalk, differentiating it from milkweed which does not branch often. The flowers of milkweed and dogbane are also very different, and no confusion between the two plants happens at such a late stage. 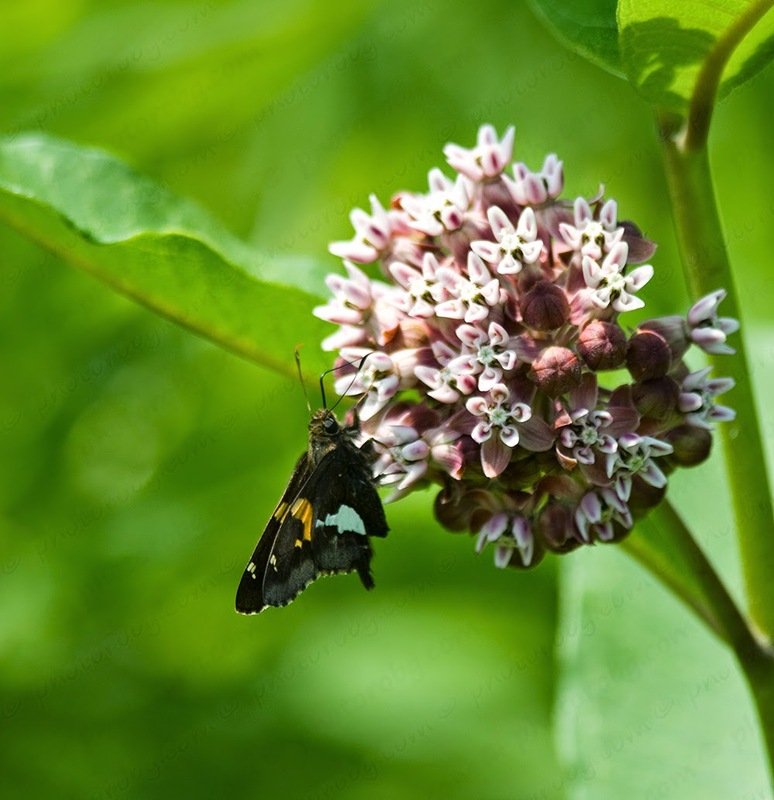 Dogbane is sometimes planted in flower gardens and is a common weed that is native to North America, so it doesn't need to be removed or eradicated, just properly identified when hunting for milkweed shoots in the spring as food. As spring quickly marches forward towards summer, there are so many fresh wild greens popping up every day that we can eat a #wildfoodeveryday. Ramps greens can easily go into anything that requires onions or garlic, dandelion greens are still tender and not yet bitter, so they go in salads and baked dishes with grains, violets get tossed on everything for color and garnish, and milkweed shoots and feral asparagus are eaten lightly boiled, buttered, and salted on their own. 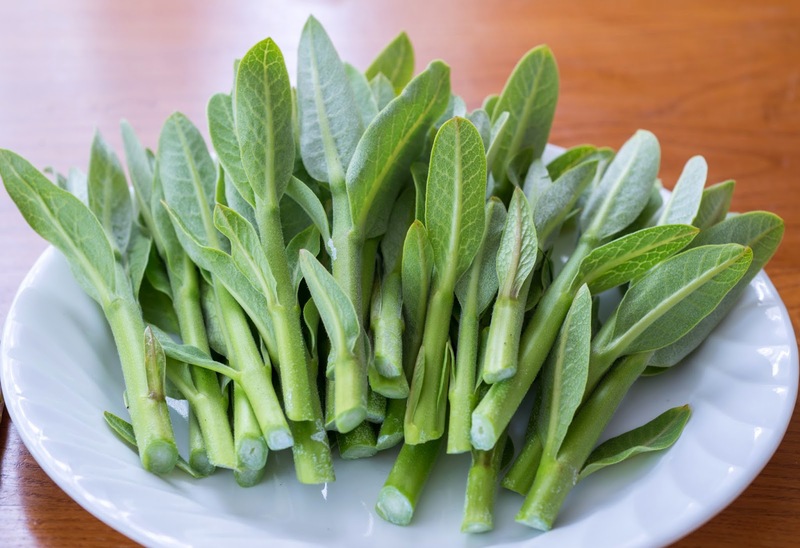 Milkweed shoots are a mild green vegetable. Some older foraging guides perpetuate the myth that milkweed needs to be boiled in multiple changes of water to make it safe, but we don't follow this faulty advice that was likely the result of someone confusing milkweed shoots with dogbane shoots, which are terribly bitter and mildly toxic. We boil milkweed shoots and seed pods briefly for 4-6 minutes before using them in recipes, otherwise you would be left with a mushy, nutrient-less food that has been boiled to death. Pairing milkweed shoots with eggs and cheese is a natural combination, and the addition of a tangier cheese like feta is something we'll try the next time we make this recipe. 2. 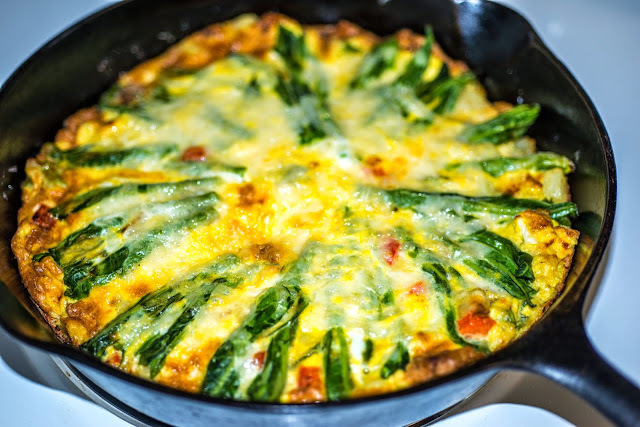 Over medium heat in a large oven-proof skillet, combine the butter, diced cooked potatoes, chopped onion or ramps, and diced peppers. Cook until potatoes start to brown, stirring often, about 5-6 minutes. 3. In a large bowl, whisk the eggs, salt, pepper, and 1 c. shredded mild cheese together. Fold in the crumbled feta cheese. Pour the egg mixture over the cooked vegetables in the skillet. 4. Using a rubber spatula, gently mix the eggs until they are mostly firm and set. 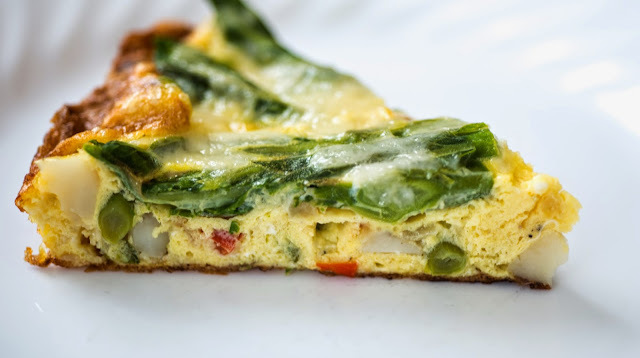 Quickly arrange the milkweed shoots around the top of the frittata like a wheel's spokes, sprinkle on the remaining 1/2 c. shredded cheese, and place the frittata under the broiler for 5-8 minutes, until the eggs completely set and the cheese melts and browns. 5. Allow the frittata to cool, and it will mostly release from the skillet in one piece. Cut into 8 wedges and serve warm.